With the popular CyanogenMod coming packaged as an Android app to help directly install ROM’s onto your smartphone, the app has been finally pushed onto the Google Play store. CyanogenMod, the popular third party source of Android ROM’s, has launched its official Android app – the CyanogenMod Installer on the Google Play store. The app comes along with a desktop app which makes rooting and installing a third party ROM on your smartphone an easy process. The desktop app provides guidance to root the phone, unlock the boot loader and installing CyanogenMod. The CyanogenMod Installer, which would be available to all the Android devices, aims to be compatible with all major flagship devices in the first version of its release. However it is important to note that you would void the manufacturer warranty on installing a custom ROM. 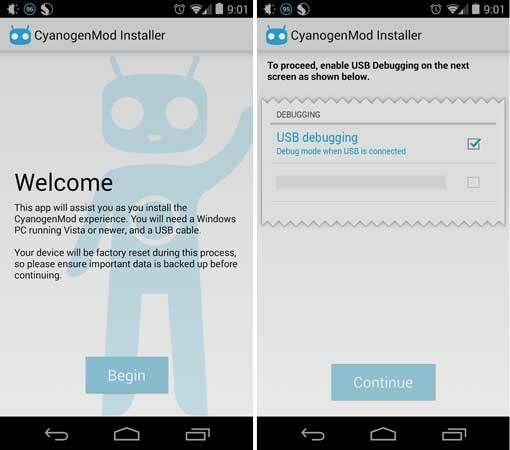 The CyanogenMod Installer can be downloaded from the Google Play Store and the desktop app can be availed from the company website.